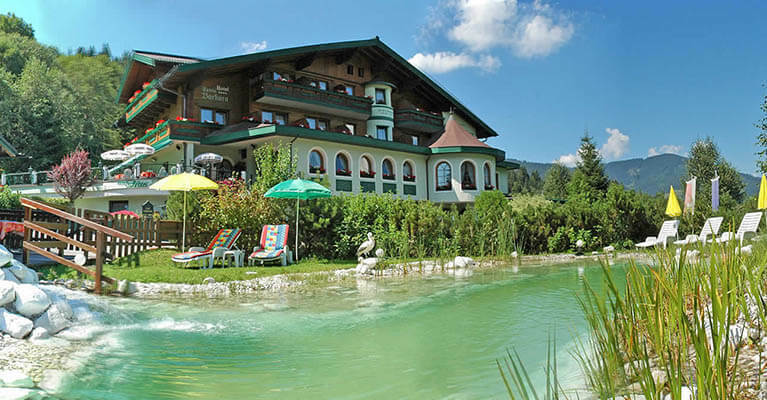 We invite you to spend a marvelous summer-, winter- or ski vacation here with us in Flachau. 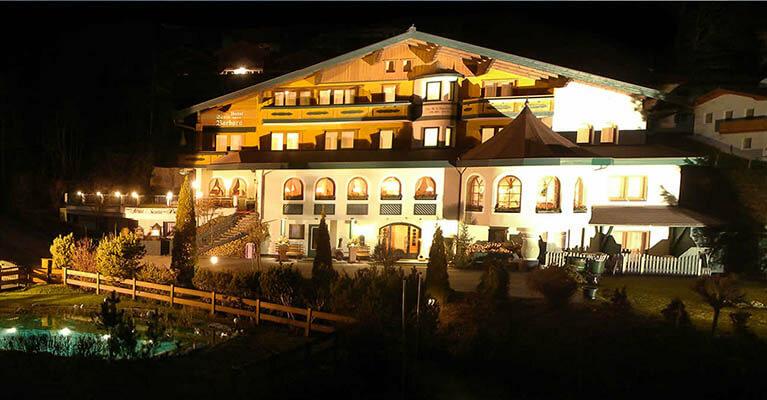 At Hotel Garni Santa Barbara, you will be staying in a central location close to the slopes with views of Flachau. Our rooms for 1 – 4 people with full amenities offer you hours of pure relaxation. In the morning, we will treat you to a lavish breakfast buffet. The many all-inclusives and our holiday program will add the finishing touches to your visit. 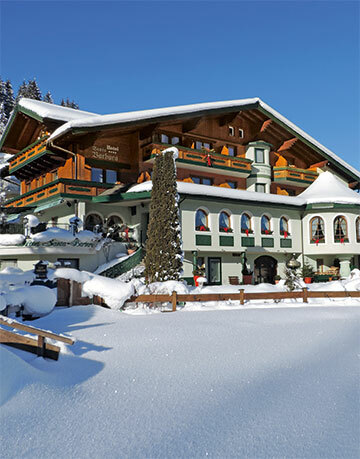 Families, groups, singles – at our hotel in Flachau, you can spend your holidays either being active or simply enjoying “the finer things”, however you prefer. We look forward to welcoming you in person to Hotel Garni Santa Barbara. Simply leave your car safely parked, since you can reach practically everything from Hotel Santa Barbara on foot: including the achterjet lifts and piste (with a ski path from our hotel), ski rentals, ski school, sledding hill along with restaurants. Hiking and biking routes also begin right outside our hotel in Flachau. Your perfect start to the morning: sumptuous breakfast buffet, with egg dishes and other delicious treats. In summer, you will be able to cool off wonderfully in our hotel’s own swimming pond. 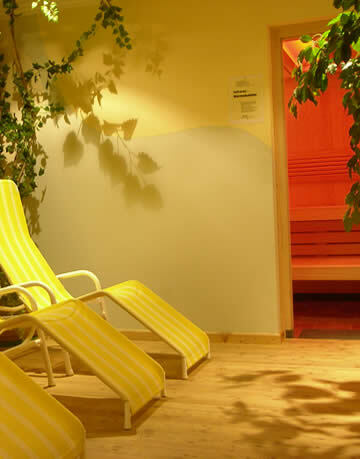 On our sunbathing lawns, you can relax completely. A colorful and wonderful holiday filled with hiking and beautiful countryside awaits you in Flachau in Salzburger Land. Slice down the slopes of famous “snow space Flachau” – with an amazing 760 kilometers of pistes awaiting you in the Ski amadé region. 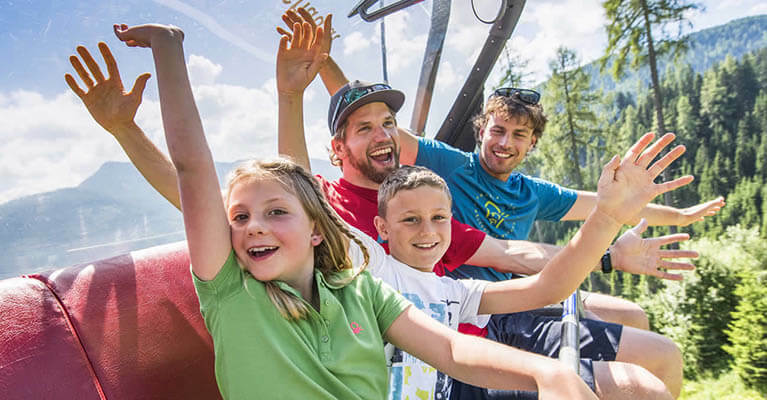 The opportunities for outdoor recreation during your winter holidays or summer vacation in Flachau are countless: Especially the “snow space Flachau” ski area in Ski amadé is guaranteed to set the pulses of winter sports fans racing in pure anticipation. Also enormous fun: sledding expeditions or hikes on snowshoes. Those who like to wind down their day of skiing in a party atmosphere, will find just what they are looking for at the many après-ski watering holes. Also discover Flachau and the surrounding region in summer. Whether hiking, cycling or mountain biking, Nordic walking or action sports – there is something here perfect for absolutely every holidaymaker.